Image by Drake1024, used without permission. This class assumes something has been done to Shadowcaster to help fix it. Specifically, it assumes that the class can recharge a use per day of a single path as a full round action, similar to how Tome of Battle classes work. The name of the class is a reference to Final Fantasy Tactics. To truly understand the world, one must plunge into the abyss. The Loremasters of Mullonde search the world for the darknest knowledge. They are known for taking foolhardy risks to acqurie this knowledge, and many believe that they are mad. However, most of them manage to keep a grasp on sanity, allowing them to use their forbidden knowledge for the good of others... if they so choose. Loremasters of Mullonde are able to quickly determine their amount of knowledge compared to their peers by comparing the growth of the shadows that envelop their bodies. Although no one has an explanation for it, it is clear that those without the shadows are those who have just begun the study. Those with shadows on their chest and back are journeyman, and those with shadows on their head are masters. Rarely, one will have shadows covering their whole body. These people are considered grand masters. No one must teach you to become a Loremaster of Mullonde. However, a mentor aids in providing resources from those similar to yourself, and helps prevent you from becoming mad. Those who teach themselves are often at risk to falling to madness as they learn the dread secrets which have been hidden. Skills: Knowledge (Arcana) 8 ranks, Knowledge (Planes) 8 ranks. Divine Casting: Able to cast 2nd-level divine spells. Shadowcasting: Able to cast 1st-level mysteries. 1st +0 +2 +0 +2 Dark Knowledge +1 +1 Level of lower-level existing mystery using class or divine casting class. 2nd +1 +3 +0 +3 Bonus Mystery, Understand Shadows +1 level of existing mystery using class and +1 level of existing darkness casting class. 3rd +1 +3 +1 +3 Dark Knowledge +2, Dark Shroud (DR Good) +1 level of existing mystery using class and +1 level of existing darkness casting class. 4th +2 +4 +1 +4 Darkvision, Cling to Knowledge 1/day +1 Level of lower-level existing mystery using class or divine casting class. 5th +2 +4 +1 +4 Dark Knowledge +3, Hidden Knowledge +1 +1 level of existing mystery using class and +1 level of existing darkness casting class. 6th +3 +5 +2 +5 Bonus Mystery, Dark Shroud (Immunity to Fear) +1 level of existing mystery using class and +1 level of existing darkness casting class. 7th +3 +5 +2 +5 Dark Knowledge +4. Hidden Knowledge +2 +1 Level of lower-level existing mystery using class or divine casting class. 8th +4 +6 +2 +6 Cling to Knowledge 2/day +1 level of existing mystery using class and +1 level of existing darkness casting class. 9th +4 +6 +3 +6 Dark Knowledge +5, Dark Shroud (Sustenance) +1 level of existing mystery using class and +1 level of existing darkness casting class. 10th +5 +7 +3 +7 Bonus Mystery, Unleash Secret +1 level of existing mystery using class and +1 level of existing darkness casting class. Class Skills (4 + Int modifier per level): Concentration, Craft, Decipher Script, Gather Information, Heal, Intimidate, Knowledge (all skills; Taken Individually), Profession, Search, Spellcraft, Spot. 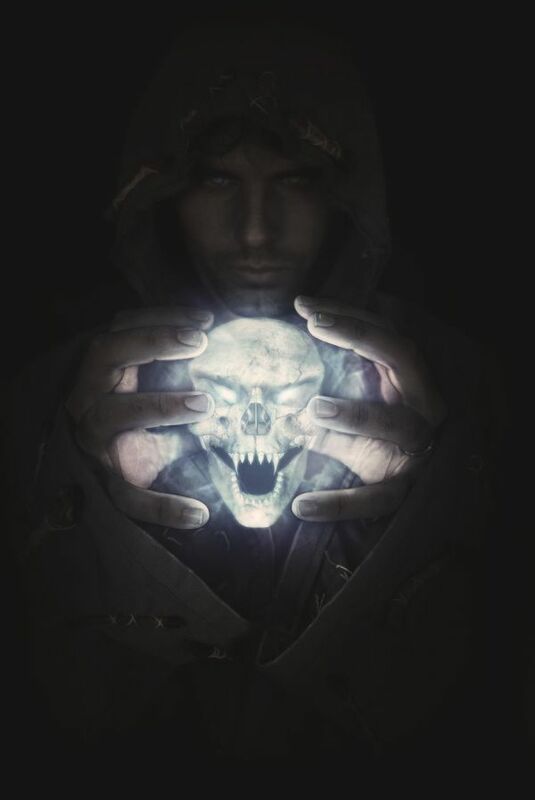 Mysteries/Spellcasting: At each level, except 1st, 4th, and 7th, you hain new mysteries or spellsper day and an increase in caster level (and mysteries or spells known, if applicable) as if you had also gained a level in both your mystery-using class and your divine class. You do not, however, gain any other benefits a character of these classes would have gained. If you had more than one mystery-using or divine spellcasting class before becoming a Loremaster of Mullonde, you must decide to which class to add each level for the purposes of determining spells per day, caster level, and spells known. At 1st, 4th, and 7th level, you gain new spells per day and an increase in csaater level (and spells known, if applicable) as if you had also gained a level in your lowest level class between your divine casting class and your mystery using class. For example, if you are a 4th level Archivist/1st level shadowcaster who gained one level in this class would gain increased mystery using ability as if he had gained a level of shadowcaster. If all your mystery using and divine casting classes have the same level, you can apply this benefit to either class. You do not, however, gain any other benefit a character of those classes would have gained. Dark Knowledge: At 1st level, you gain a +1 bonus to your archivist level for the purposes of learning new Dark Knowledges, but not for increasing your uses per day. At 3rd, this bonus increases to +2, at 5th to +3, at 7th to +4, and at 9th to +5. Bonus Mystery: At 2nd level, and again at 6th and 10th, the Loremaster of Mullonde gains a bonus mystery. Dark Shroud: At 3rd level, the Loremaster of Mullonde starts to have his body covered by shadows, starting with his back and chest. This effects grants DR /good equal to half the levels they possess in this class. This effect also expands into weilded weapons, making any attack the Loremaster of Mullonde makes Evil for the purposes of overcoming damage reduction. Additionaly, at 6th level the shadows expand to the Loremaster's head, granting immunity to Fear. Finally, at 9th level, the shadows cover the rest of the body, allowing the loremaster to require only two hours of sleep to gain the benefit of eight, and the loremaster no longer requires food or water. Cling to Knowledge: At 4th level, the Loremaster of Mullonde gains the ability to bring out additional uses of Dark Knowledge. Once per day, as a full-round action he may seal off a Path he knows at least 2 mysteries from, rendering the mysteries from the path unusable. This seal lasts 24 hours. In exchange, he gains one additional use of Dark Knowledge for the day. At level 8, he may use this ability twice per day. Darkvision: At 4th level, the Loremaster of Mullonde gains Darkvision (60 feet). If the Loremaster already possess Darkvision, it expands by 30 feet instead. Hidden Knowledge: At 5th level, the Loremaster of Mullonde gains a +1 bonus to all Knowledge checks, and decipher script checks. At level 7, this bonus increases to +2.